There are few Americans (and Westerners) these days who aren’t popping pills to treat a complaint OR to try and prevent one. From headache medicine to cholesterol-lowering drugs, to sexual-dysfunction aids, there seems to be a remedy for every disorder out there – even some we didn’t realise existed! 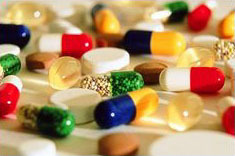 The pharmaceutical industry has transformed the way we think about physical, mental, emotional and social lack-ness. NOT well-ness, not sickness, but it has created a vacancy, a void, a hole, a gap that their drugs can fill. They are turning more and more healthy people each year into patients or customers. We need to ask about HOW and WHY drug makers have begun targeting people who aren’t "sick". Today, this whole process is driving the marketing machinery of the drug companies. There are many ways and campaigns in which these massive organizations target people who can afford their magic drugs and potions. The use of celebrities is now a standard way in which drug companies, don’t just promote their drugs, but try to change public awareness, public thinking and public perceptions about drugs. In some ads, the disease phrasing may be legitimate. But when you have celebrities getting paid big bucks to try changing the way we think about sexual difficulties or stomach problems or natural symptoms of stages of life, these are insidious campaigns. There’s actually a whole mini-industry of celebrity brokers who bring together (celebrities and drug companies). The reason celebrities work so well in getting people to think about conditions and go to their doctors to request drugs, is because we trust them. They are simply not telling you that they are on the (drug company’s) payroll. Of course, if they did tell you, your trust might diminish somewhat. Aren’t there enough sick people that the drug companies can target? Why try and convince others they’re sick? The pharmaceutical industry's sophisticated CEO's and marketing people are doing what shareholders demand of them. They’re looking for ways to maximize markets. One way is to redefine more and more people as "SICK". It’s sad but true. There’s an informal alliance between the drug companies and the medical profession and aspects of the patient advocacy world, that all have interests in defining more and more people as ill.
Every time a panel of "experts" comes together, they nudge the boundaries a little further out, whether it’s mental illness, cholesterol or high blood pressure. In the case of Diabetes and Obesity, now that these have been re-defined as "Diseases", 100’s of billions are being made every year! Being fat is not a disease. 99.9% of the time it’s just eating and drinking junk, eating too late in the day, eating too much, and simply not moving. We’re starting to see a fear of disease, decay and death becoming a central part of life. It probably wouldn’t take a large study to investigate the psychic impact of being told 10 to 30 times a day you might actually be sick, or have a "lack" within you. The marketing strategies of pharmaceutical drug lords continue to terrorise humanity, globally.